The following are detailed specifications about the LED Outdoor Wall Lantern. 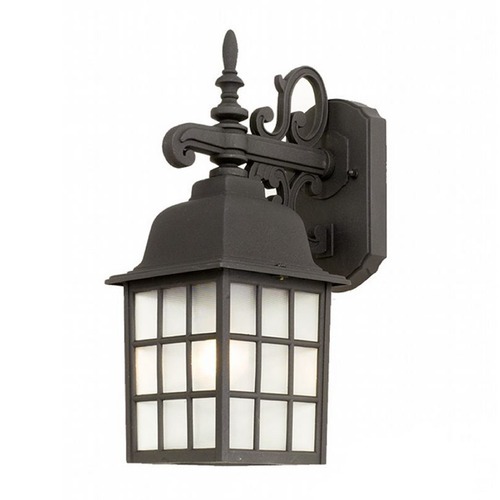 Bring the nostalgic charm of a 19th century gas lantern to your entryway or garage exterior. Included is an energy savings LED bulb which lasts up to last 6 times longer than compact fluorescent bulbs and 35 times longer than an incandescent. Features a medium base with white diffuser and vented heat sink. Includes a 10-watt LED medium base light bulb that runs off of 10-watts, 800 lumens, 2700K color temperature that is equivalent to 60-watt incandescent. Suitable for installation in dry and damp locations. 120 volts line voltage. UL / CUL certified. This LED Outdoor Wall Lantern is part of the $item.xCollectionName Collection from Design Classics Lighting. The following items are also part of the $item.xCollectionName Collection.